A collection of nine dark stories from the author of The Curious Incident of the Dog in the Night-Time. 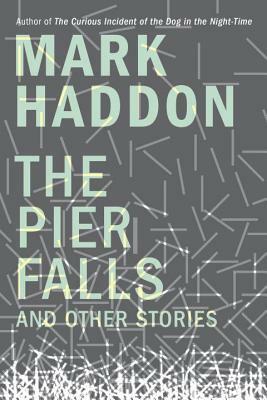 I read the nine stories in Mark Haddon's new collection, The Pier Falls, over nine consecutive days — one bracing plunge every 24 hours. Anything more would have amounted to a violation of my own imagination. Anything less would have registered as disrespect for the devastating power of these eerily precise and dangerously suffusing episodes in the lives of mostly lost, lonesome, or abandoned people ... It's one thing to know and write brilliantly about how the world works. It's an entirely different thing to write with deep assurance about what happens when conventions are broken, relationships are scrubbed of ordinary decencies, and the mind shatters. Reality, in Haddon's stories, is endlessly decaying. The nine stories in Mark Haddon’s debut collection are exuberant, lusty exercises in juxtaposition: intimacy and estrangement, exoticism and domesticity, innocuousness and malevolence, the cataloguing of minute detail and the expansiveness of the zoomed-out lens ... But nowhere do all these themes come together more brilliantly than in the collection’s centrepiece, 'Wodwo', a story that extends to more than 60 pages and earns every one of them. Strengths and weaknesses pale next to Mr. Haddon’s sheer confidence as a storyteller. 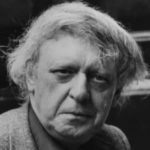 His voice can convey the authority of ancient fairy tales. 'Wodwo' is the book’s centerpiece by all measures: length, ambition and effect. In it, a family gathers for Christmas in a snowy English town. Mr. Haddon sets up the relations as if the story’s tension is going to be traditional and domestic. Then a stranger with a gun appears outside the family’s house. What follows is suspenseful, then fantastical, then man versus nature, then almost science fiction. The very end is head-scratching, but the impressive whole packs the action and themes that might power a very full novel into less than 70 pages. What did you think of The Pier Falls?